Kamco Products is the leading manufacturer of polyethylene coated copper tubing in North America for Natural Gas, Liquefied Petroleum Gas, Fuel Oil, Potable Water and industrial applications. Kamco’s family of products are designed to make installations run more smoothly and efficiently. We use only the highest quality tubing available to ensure our customers can walk away from an installation with pride and confidence. As a customer driven company, we are proud to say that every product we manufacture is inspired by customer feedback and suggestions. We are dedicated to designing high quality innovative products, while aiming for the highest level of service and support. 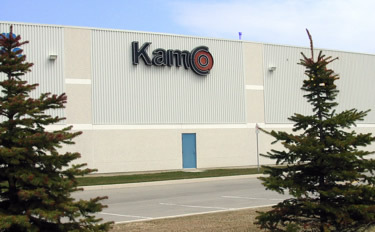 Kamco is devoted to simplifying product installations, improving customer safety, and protecting the environment through the products we provide.